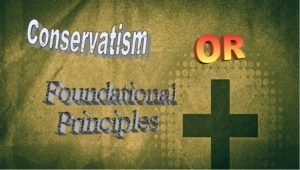 What is Conservatism about? The question by a noted pastor/theologian is: Conserving What? Are those who call themselves “Conservatives” looking to return to the past in history? Are they trying to return to the Constitution as it was when established? Are they looking to reformation in the church? 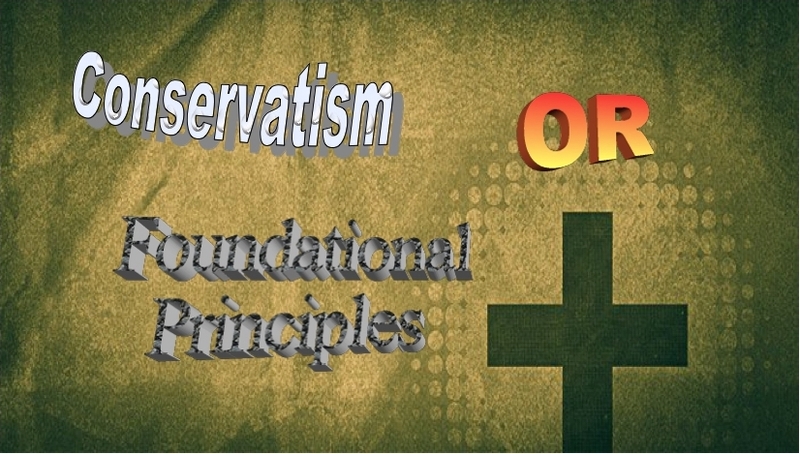 Or, are they re-establishing Foundational Principles both Biblically, which is the derivative for social, economic and political continuity? Comments Off on 3-23-19 Conserving What: History, Constitutionalism, Church or Principles? I was invited to join Chris Arnzen on his program Iron-Sharpens-Iron heard every week day from 4 PM to 6 PM Eastern. On this program we discussed my book “From Covenant To The Present Constitution“. This was a fantastic interaction with Chris and his audiance. I am spending the first segment on the Ohio Governor Primary. I believe it is critical to understand that the swamp is everywhere to which we must take a critical eye to understanding the candidates. I have a link to my preferred and recommended Gubernatorial candidate in the References below. I make a quick mention of the Societal Sphere of Sovereignty since the churches and mostly those with any hint of Reformed aren’t expressing sufficiently the full extensibility of the True Gospel. As you know, I consider the condition the nation is in the primary fault of bad theology and broad teaching of the Principles into society – More for a different venue and video. In the majority of the program I am getting to the Constitutional responsibility of the President and Congress to protect us from invasion, which includes illegals crossing the borders. I also take you into the US Code that allows the President to call on the National Guard for this purpose. Lastly, as I have mentioned, My new book is available and I will be promoting it during this month as we look to launching the Seminars once again in June. Continuing to enhance the program on video and then putting the archive segments up on the SamuelAdamsReturns YouTube channel. Videos posted on Sunday. 7-15-17 Video Too and Melancton Smith – Bribed With Your Own Money? Video Too and Melancton Smith – Bribed With Your Own Money? Expanding the horizons of technology! We are experimenting with recording the program on video as well and then putting the segments up on the SamuelAdamsReturns Youtube channel. Comments Off on 7-15-17 Video Too and Melancton Smith – Bribed With Your Own Money? Generation Z – What do you know about them? This large group of citizens, 70 million strong, is emerging onto the scene with gusto. What are the worldviews of these individuals that are half still in high school and the other half in college or the work force? How are they different from Millennials in the views on economics, politics and religion? Gen Z or known as the iGen for their ease of life in the digital world are affecting marketing and policy making now and into the next eighty years.